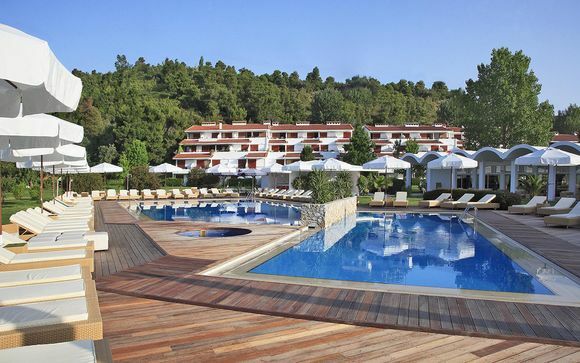 Great deals to Skiathos up to -70% off To take advantage of these offers, join now for free! 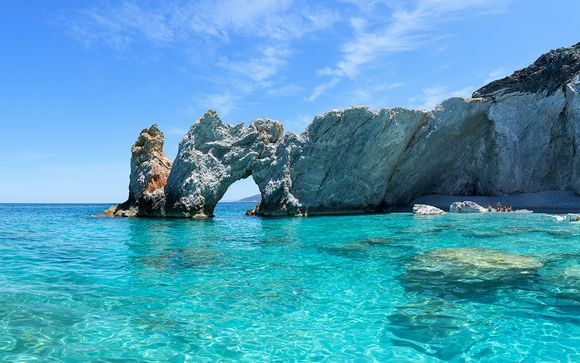 Find great deals to Skiathos online with Voyage Prive; explore this magnificent island and experience the designer shopping, bustling nightlife, astonishing scenery and luxurious beaches. 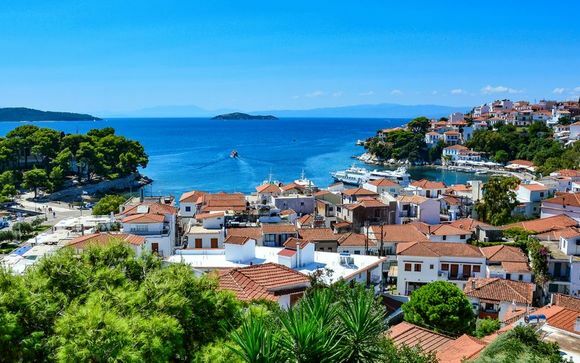 Skiathos may be small, but what it lacks in size it more than makes up for in scenery. The little isle boasts some of the most picturesque beaches in the Aegean Sea, all of them washed by clear blue waves and surrounded by lush green countryside. The breath-taking, whitewashed town sits atop two hills, and is arguably part of the most exclusive Greek island in existence. The Beatles once tried to buy Skiathos, and the entire cast of Mamma Mia fell in love with it while filming the hit movie there. Take one step on to the white-sand beaches with us, and it isn’t difficult to see why. The pace of life is slow on Skiathos, with over 70 beaches and numerous sweeping gardens on which to wile away the time. If you’re looking to mix relaxation with culture, then take a stroll down to the old part of town, where tiny winding streets and the old Venetian citadel - complete with open-air theatre - will beckon you in. There’s also the Evangelistria monastery to be explored; a stunning building that was once home to 70 monks, but is now mostly populated by curious cats. Despite these furry friends, the area above the port is peaceful, and the monastery itself boasts outstanding views across the sea. When night falls, there’s a huge array of restaurant and bars to cater to your every need, and island specials include enormous plates of mezze, fish stew, and a tantalising selection of local wines. Once you’ve explored what’s on the surface of idyllic Skiathos, you’ll be able to discover its secret gems, and adventure into its hidden depths. A number of beaches on the island can only be reached by boat, giving you the perfect excuse to sail across the crystal clear waters, and find your own secluded slice of Grecian paradise. If this seems too slow-paced for you, then there’s a range of water sports on offer that will indulge your inner adrenaline junkie. Banana-boating is a popular option, as is snorkelling in the pristine waters, and jet-skiing along the bay. 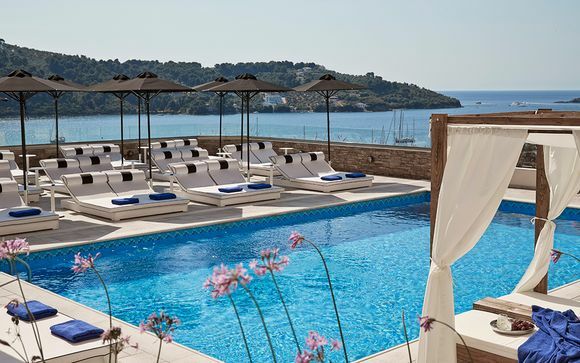 With our great deals on holidays to Skiathos, you can afford to experience a holiday relaxing in the lap of luxury. 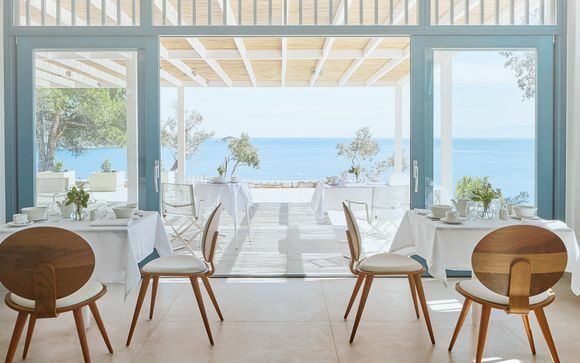 Take advantage of our exclusive offers, and discover why The Beatles fell in love with Greece’s secret paradise, and book for a chance to find your own idyllic getaway.